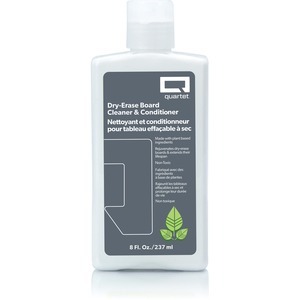 Marker board conditioner/cleaner acts as a superior conditioner and cleaner for all melamine and porcelain enamel-on-steel boards. Removes all trace of shadows and ghosting. Cleaner/conditioner is specially formulated to recondition and restore dry-erase boards to their original write-on/wipe-off capability. Certified AP nontoxic.